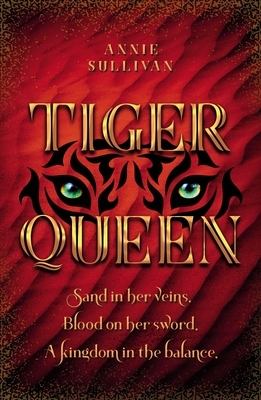 From Annie Sullivan, author of A Touch of Gold, comes Tiger Queen, a sweeping YA adventure that tells the story of a fierce desert princess as she fights to save her kingdom. Fans of Rebel of the Sands and Meagan Spooner will devour this retelling of Frank Stockton's famous short story "The Lady, or the Tiger?." In the mythical desert kingdom of Achra, an old law forces sixteen-year-old Princess Kateri to fight in the arena against twelve suitors to prove her right to rule. For Kateri, losing is not an option because in order to fulfil her promise to her late mother, she must win to keep her crown and lead her people. The situation outside the palace is uneasy. The harsh desert is unforgiving, water is scarce, and Kateri's people are thirsty. To make matters worse, the gang of thieving Desert Boys, the same group that killed Kateri's mother and her new baby, frequently raids the city wells and steals water, forcing the king to ration what little water is left. The punishment for stealing water is the choice between two doors. Behind one door lies freedom and behind the other is a tiger. The people of Achra are growing restless and distrustful of the monarchy, and when Kateri's final opponent is announced, she knows she cannot win. In her desperation, Kateri turns to the desert and the one person she never thought she'd side with. Her future now, too, is behind two doors--only she's not sure which holds the key to keeping her kingdom and which will release the tiger.